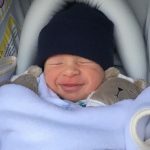 Meet Amy Davidson’s son, Lennox Sawyer Lockwood! 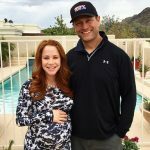 Posted on March 11, 2016 by Jenny S. by Jenny S.
Posted on March 4, 2016 by Jenny S. by Jenny S.
Amy Davidson is a mom! The actress and blogger welcomed a son with her husband, actor Kacy Lockwood, on Tuesday, March 1st.